100% cotton, 44" wide, made in India. 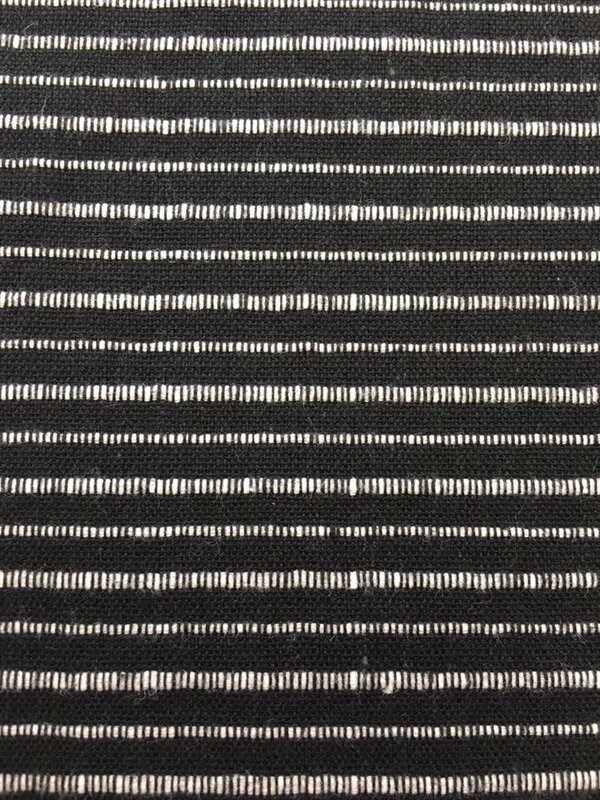 This is Mariners Cloth by Alison Glass in black with white raised stripe running perpendicular to selvage. It feels as great as it looks!